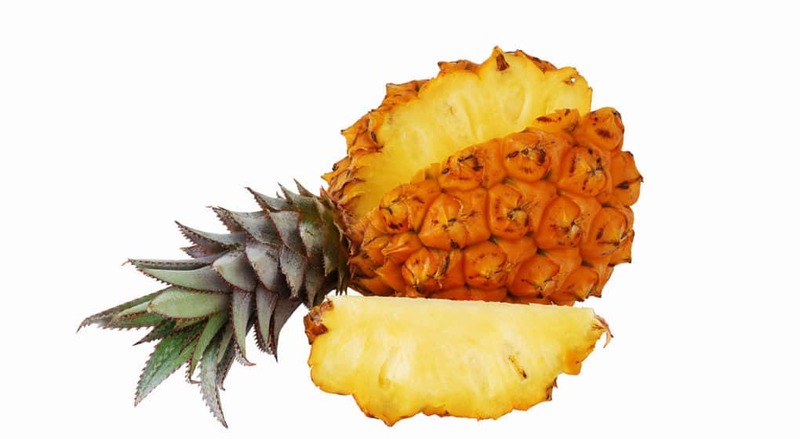 Also known as pineapple enzymes, bromelain is a protease – a certain type of enzyme – extracted from pineapple plants. Bromelain supplements can be taken from both the stem and the fruit itself. While there is research supporting the health benefits of both, the stem is seen as a far more efficient source, both because it is higher in bromelain and because it is a by-product of the plant, cutting down on waste. Although most commonly known for its ability to heal digestive problems of all stripes, bromelain boasts a host of other benefits. This supplement has been shown to be a powerful anti-inflammatory and anti-swelling agent, even effective in preventing blood clots and scar tissue. More than that, as research has come pouring in, more evidence has suggested it can even be effective in combating certain kinds of cancer, as shown by a powerful recent study that saw evidence of bromelain not only fighting the cancer but improving the efficacy of chemo. Bromelain has also been used to aid post-op pain, swelling, and scarring, likely due to its anti-inflammatory properties. Because of these same benefits found in the protease, it has been studied particularly for its effect on minimizing allergic or asthmatic reactions. Finally, working with your lipids and fatty acids, bromelain has been shown to support healthy weight loss. For digestion, dosages should range anywhere from 200 to 2000 mg per day, but for all other uses, the dose ranges between 200 to 800. As with any new supplement, start at the lowest dose, checking in with your body regularly to ensure bromelain is benefitting you, and ask a healthcare professional if you feel uncertain about whether it’s right for you. Similar to the tingling feeling eating pineapple elicits in the mouth, some people have an adverse reaction when taking bromelain. If you develop hives or itching, discontinue use immediately. And because bromelain works so well at preventing blood clots, people on blood-thinning medication should exercise caution or avoid bromelain altogether. For surgeries, discontinue taking bromelain for two weeks prior to the operation, then continue again a few days post-op with your doctor’s go-ahead. Where can I buy bromelain? Bromelain is easily found at stores across the United States, and it can be confusing to wade through all the different brands in search of the right one. A classic source of vitamins, supplements, and powders, GNC sells five different brands of bromelain, with dosages between 500 to 1000mg and a range of price options. If you don’t have a GNC in your neighborhood, Walgreens sells a 500mg supplement both online and in-store – but their capsules have, among other added ingredients, gelatin, making it unsuitable for vegan and kosher diets. Unlike Walgreens, CVS sells a bromelain supplement that is gelatin-free. That, however, doesn’t mean it’s necessarily additive free, with a whopping total of nine ingredients per bottle. Like Walgreens, CVS’s supplement is 500mg, putting you safely in the middle of the recommended dosages. Both CVS and Walgreens’ supplements are derived from the stem of the plant. Bromelain is now such a popular supplement that it can be found in Walmart nationwide. On their online store, Walmart has at least eight different brands of bromelain, all of which are 500mg pills and clock in at a range of prices. All four of these stores are comparable in price, content, and dosage, although Walmart and GNC notably have more options. However, not all of these supplements are created equal. In 2015, the New York Attorney General brought the supplement industry, bromelain included, under fire for their inefficacy. While natural remedies have been used for millennia to cure ailments, many corporations and mega-retailers have jumped on the wellness bandwagon without any regard for the quality or content of their supplements. What the attorney general found was shocking: when the ingredients of supplements from Walgreens, GNC, Walmart, and Target were tested, four out of five pills contained none of the advertised supplement within. Instead, most were filled with rice flour, house plants, or dried asparagus – things that could have had disastrous allergic effects. So how can I know which bromelain is safe for me? As with all supplements, the number one way to ensure your purchase is safe, containing only the ingredients advertised, is by opting for third-party-tested companies. Most of the time, this information can be found proudly displayed on the bottle, so you know you’re buying something that genuinely has your best wellness interests in mind. Look for certification from companies like the Banned Services Control Group or Aegis​ to be sure you’re purchasing only the purest product. For quality you can trust, Country Life has supplements that are certified organic, third-party tested, and free of the most common allergens. By using the third-party process, Country Life ensures the quality of their product without putting any customers at risk for fraudulent or dangerous pseudo-supplements. Vitacost sells a 60-count, 500mg supplement bottle for $19.99 – although it is worth noting that Country Life is one of the leading vitamin companies and can be found in Whole Foods, Sprouts, and Natural Grocers nationwide. However, if you’re tired of adding another supplement to the growing pile of pills on your counter, but are still interested in reaping the benefits of bromelain, consider Isotonix Bromelain Plus. A drinkable supplement, its anti-inflammatory properties are bolstered by additions like white willow bark – a plant commonly referred to as nature’s aspirin – and additional proteases, to ensure that customers are getting the most bang for their supplement. Like the others, the Isotonix Bromelain Plus is made from the stem of the plant, extracting the most effective components with minimal waste. To take the supplement, mix the powder into your water and enjoy through your day. Drinking supplements allows for quicker absorption, helping the plant take effect sooner. This Isotonix supplement that can be bought at shop.com for $61.50 has thirty servings. Navigating the right supplements in this day and age can be tricky, but with a little research and some third-party verification, you can rest easy knowing your supplements are pure and ready for your absorption. Get started today, and enjoy the benefits.